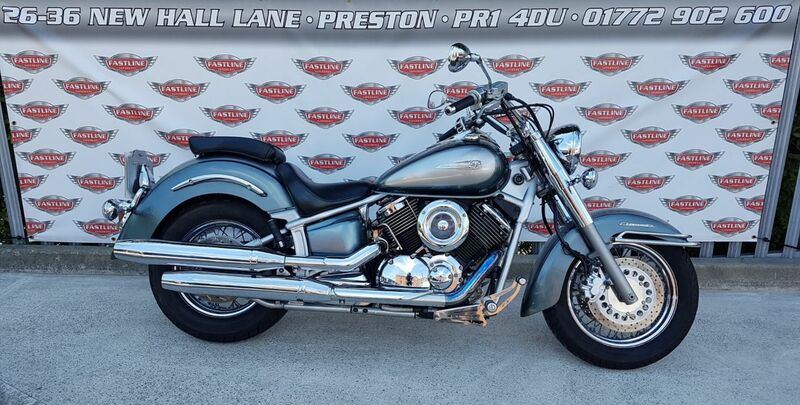 Fastline Superbikes are pleased to offer this Yamaha XVS1100A Classic Dragstar, 2006 model. Nice standard machine in green/silver. 1063cc V Twin, air-cooled, 5 speed, shaft drive, low seat height, nicely balanced cruiser. This is the Classic model with lovely swept mudguards, shrouded forks and wider wheels. Will come serviced, 12 mths MOT, 3 mths warranty and fully gone through by our factory trained technicians. Buy with confidence from family run business since 1988. Finance and worldwide delivery on all our motorcycles, call for quote.